We’d love your help. 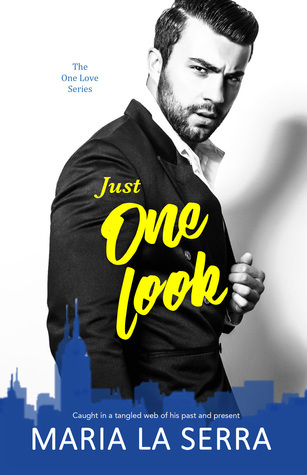 Let us know what’s wrong with this preview of Just One Look by Maria La Serra. Victoria Fairfax wasn’t looking for love. Instead, she was hoping to earn enough money to start her own catering business by working nights as a bartender for charity events. However, love might What do a hotshot lawyer and a moonlighting beauty have in common? Not much, but when they have to put their differences aside for a good cause—anything can happen. Maybe even love. Will they unravel the tangled web of their past and present and heal after a lifetime of pain? Or will they allow their past to keep them apart? To ask other readers questions about Just One Look, please sign up. Pre-order is now available for .99c!